With an Optus business mobile plan you can take your office on the go. Get the latest mobile with great data and calls. You also have the option to try out our new leasing plans on My Plan Flex. After 12 months on an eligible 24 month plan, you can upgrade to a new phone for a one-off fee, when you return your current phone in good working order to a Yes Optus store and sign up to a new eligible 24 month plan. What are your business mobile needs? From sole trader services to mobility solutions for a large business, Optus has you covered. BRING YOUR OWN BUSINESS MOBILE AND GET OUR BEST VALUE DEAL WITH THE ULTIMATE FREEDOM OF NO LOCK-IN CONTRACT. 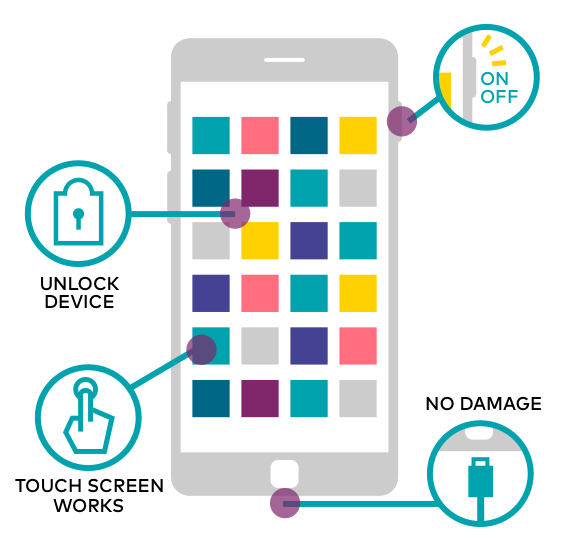 Combine any of our Postpaid plans that share data on the one bill to pool and share the data between your devices. That's one convenient bill for all your business devices, on the amazing Optus mobile network. Learn more about data sharing with Data Pool. Looking for extra data? Check out our 12 month SIM Only plan. Min. Total Cost is $45 for the first month. Min. Total Cost is $55 for the first month. Min. Total Cost is $65 for the first month. Min. Total Cost is $75 for the first month. Get $10/mth off your 12 or 24 month mobile broadband plan for up to 24 months when you add it to an eligible Postpaid mobile account. Get help online when you need it most. Talk to dedicated web chat specialists available 24/7 that can help you with upgrading your plans and devices or ask about your bill or account. Not available to Optus DSL or fleet mobile customers. Get it right the first time, with expert advice. 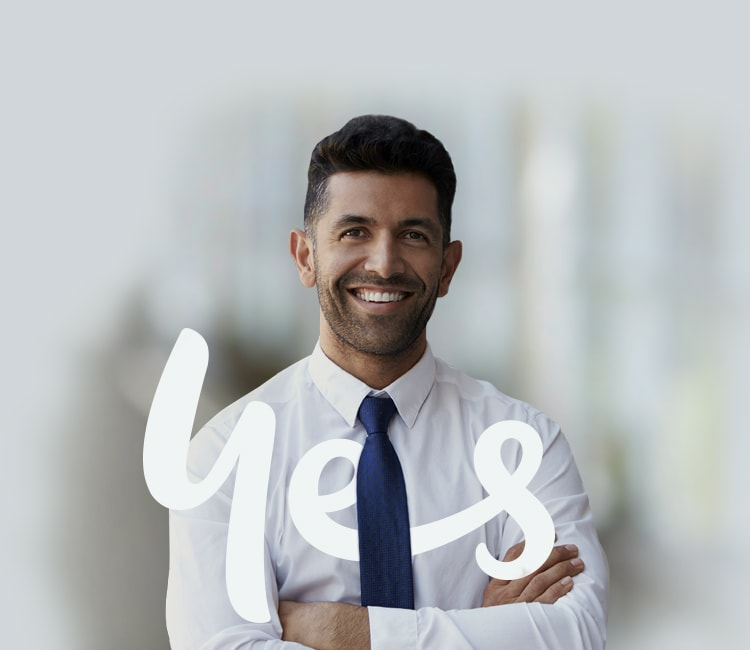 Tips from small business experts available in selected Yes Optus stores and Business Centres. Get back to business quicker, with fast tracked support for eligible customers. MY PLAN PLUS SIM ONLY (12 MONTHS): Cancellation fees apply. INTERNATIONAL CALL/TEXT INCLUSIONS: Can be used for standard international calls and text to the following Selected Countries: Brazil, Brunei, Cambodia, Canada, mainland China, Columbia, Denmark, France, Germany, Greece, Hong Kong, Hungary, India, Indonesia, Ireland, Israel, Italy, Japan, Laos, Lebanon, Malaysia, Malta, Mexico, New Zealand, Norway, Poland, Romania, Singapore, South Korea, Sweden, Taiwan, Thailand, United Kingdom, USA and Vietnam. International minutes billed per minute. 'yes' International rates apply for excess and non-included usage. See optus.com.au/international. Calls are charged per minute. Selected Countries: Brazil, Brunei, Cambodia, Canada, mainland China, Columbia, Denmark, France, Germany, Greece, Hong Kong, Hungary, India, Indonesia, Ireland, Israel, Italy, Japan, Laos, Lebanon, Malaysia, Malta, Mexico, New Zealand, Norway, Poland, Romania, Singapore, South Korea, Sweden, Taiwan, Thailand, United Kingdom, USA and Vietnam. Apps subject to change and subscription required. Stream Video up to 1.5 Mbps & music up to 512kbps. Charges apply for content such as downloads & ads. Fair Go Policy applies. OPTIONAL INTERNATIONAL COUNTRY STANDARD TALK & TEXT PACK: Available to add to and My Plan Plus (including SIM Only) and My Plan Flex connected after 21 May 2018. Packs include up to 300 mins of standard international calls and unlimited standard international SMS/MMS to one country. Packs are available to the following countries Austria, Bangladesh, Chile, Croatia, Fiji, Netherlands, Pakistan, Philippines, South Africa, Sri Lanka and Turkey. These packs can be cancelled at any time. So, you're a sole trader looking to keep connected in business - try our awesome plans, designed to make business a breeze! After 12 months, you can pay a one-off fee to return your current phone to a Yes Optus store in good working order and get a new one on a new eligible 24-month plan. Alternatively, keep your current phone - simply pay it out, along with any amount Optus was going to cover and get the latest one on a new 24-month plan. Looking to lease your next phone? Min. Total Cost is $1,080 over 24 months. Min. Total Cost is $1,560 over 24 months. Min. Total Cost is $2,040 over 24 months. Min. Total Cost is $2,520 over 24 months. Min. Total Cost is $3,000 over 24 months. MOBILE TV STREAMING OFFER: Available if you are a new or re-contracting customer who signs up online to a My Plan Plus or My Plan Flex Plan and select Mobile TV Streaming at the time of purchase. Your discount will apply for 24 months, unless you change, recontract or cancel your plan. After 24 months you will be charged $5/mth for Mobile TV Streaming. You can cancel Mobile TV Streaming at any time. Mobile TV Streaming is a month to month option that does not form part of your plan. Subscriptions are required, and charges apply for content such as downloads & ads. Offer available until withdrawn. MY PLAN FLEX PLANS: You can lease an eligible device on a 24 month plan. You don't own the device and must return the device to Optus in good working order at the end of your contract or you'll pay a damage fee of up to $499. If the phone is damaged during the lease and you'd like to have it fixed, you need to pay to have it repaired by Optus or the manufacturer (excludes warranty/consumer guarantee claims). MY PLAN PLUS CANCELLATION: Your phone repayments are reduced by a monthly credit. If you need to cancel your plan there are no plan cancellation fees, simply pay out the full remaining cost of your phone which will include any monthly credits that Optus was going to cover. MY PLAN PLUS NEW PHONE TRADE UP: After 12 months you can pay a one-off fee of $149, return your current device in good working order to a Yes Optus store and buy a new device on a new eligible 24/mth plan. Alternatively, if you wish to keep your original device simply pay out the full remaining cost of your device including any monthly credits that Optus was going to cover, then upgrade to a new device on a new eligible 24/mth plan. For more info visit optus.com.au/newphonetradeup. OPTIONAL INTERNATIONAL COUNTRY STANDARD TALK & TEXT PACK: Available to add to My Plan Plus (including SIM Only) and My Plan Flex connected after 21 May 2018. Packs include up to 300 mins of standard international calls and unlimited standard international SMS/MMS to one country. Packs are available to the following countries Austria, Bangladesh, Chile, Croatia, Fiji, Netherlands, Pakistan, Philippines, South Africa, Sri Lanka and Turkey. These packs can be cancelled at any time. Mobile broadband plans come with the option of Data Pool. Achieve more with the latest iPads, tablets, watches and data SIM plans on our Optus 4G Plus network. Min. Total Cost is $360 over 24 months. Min. Total Cost is $600 over 24 months. Min. Total Cost is $1440 over 24 months. Check out our shiny, new iPads, tablets and watches on a plan and enjoy the freedom of mobile internet. Enjoy data at superfast speeds on our 4G Plus network - from big cities, to regional towns and holidays destinations. Get the most out of your business plans' data by sharing it across your team. Easily connect any combination of eligible mobile and mobile broadband business plans onto one bill. Purchase your new business iPad or tablet online and we'll deliver it in 2-3 business days when stock is available. 100GB BONUS DATA ON $60 & $70 MY MOBILE BROADBAND PLUS PLANS: Available to new & recontracting services on the $60 My Mobile Broadband Plus 24M / 12M and $70 My Mobile Broadband Plus M2M plans only. Bonus data is available for 24 months, and will be forfeited if you recontract, change or cancel your plan. Not available with any other bonus data offers, unless specified. Offer ends 03/02/19 unless withdrawn earlier. The Mobile TV / Music Streaming options are available on a month to month basis & do not form part of your plan. Optus may change or withdraw a streaming partner at any time with prior notice. Offline Video Downloads, mobile & mobile broadband Wi-Fi hotspots, streaming on TVs (such as Chromecast, Apple TV and the like), other associated traffic such as ads, authentication, app analytics, Digital Rights Management and album art are excluded and will incur data charges. Streaming services may not have apps available on all mobile operating systems. Not suitable for HD quality video. Suitable for one stream per service on mobile & tablet devices only.